The V-Strom 1000XT is evolution, not revolution, and the big 'Strom remains one of the easiest big adventure bikes to ride on the market. V-Stroms are big, comfy bikes perfect for all day riding, but they can also hustle in the bends. You need to put a little bit of effort into to get it to turn as fast as the smaller V-Strom 650, but once in the corner the V-Strom is incredibly stable and soaks up any bumps with little fuss. 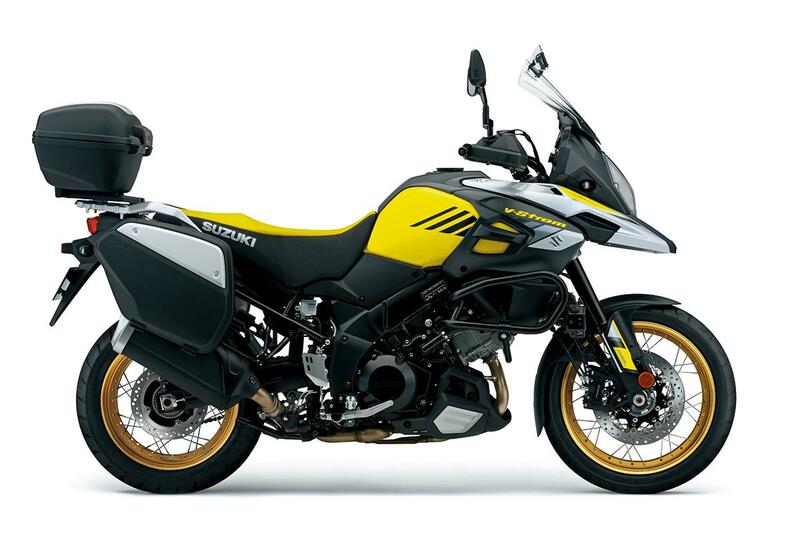 The previous generation of V-Strom had a very buffety screen, but thankfully Suzuki have sorted it with this model and the screen can be set at three heights and the angle can be adjusted on the move by pushing the screen away from you. The V-twin engine makes 101bhp, which isn't anything like the 160bhp of some adventure bikes but is more than enough on the road. There's a slight lumpiness at 3000rpm, but anything above that is smooth, effortless drive. 101bhp might not sound like much in 2017, but it's more than enough to have fun with. The two stage traction control does a good job of keeping everything inline without feeling intrusive, even in the highest setting. The engine has been around for almost 20 years so it's pretty well proven now and in a very low state of tune. We're not aware ofany problems with any models in the V-Strom range. At £9999 you can't really argue with the price of the V-Strom 1000XT. Yes, it's nowhere near as advanced as some of the competition, but it's still a great adventure bike. And you'll be able to spend more money on adventuring! The XT is pretty basic. You get ABS and traction control as standard, both of which are pretty basic, but work well without being too intrusive. 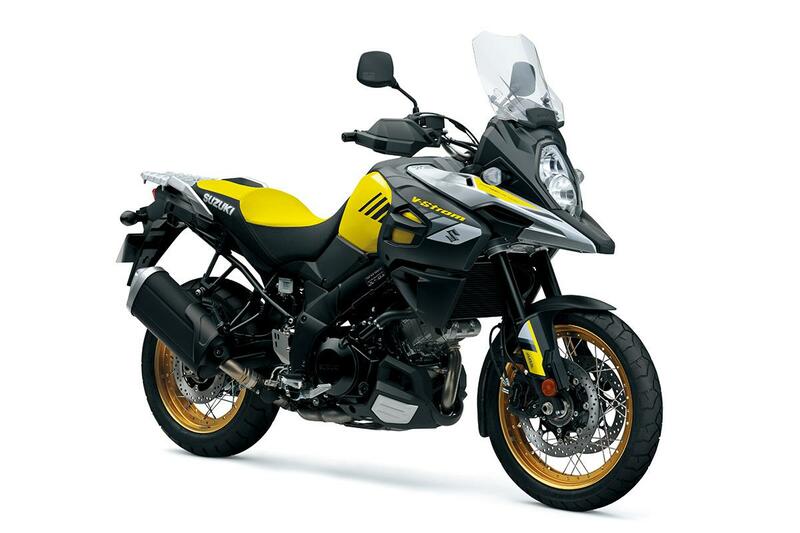 The V-Strom also comes with low RPM assist, which raises the engine speed when the clutch is engaged, making it harder to stall the bike. Wire wheels, bashplate, tapaered handlebars and handguards set the XT apart from the standard Strom. 1 owner has reviewed their SUZUKI DL1000 V-STROM XT (2017-on) and rated it in a number of areas. Read what they have to say and what they like and dislike about the bike below. Traded in my faithful old 2005 DL1000 for the new XT. All the good points from the original but better all round, as you'd expect. Tried the mk2 (2014) version a couple of times and wasn't particularly enamored but the new XT seems to have found its mojo in feel and looks - to me anyway. Done about 1800km so far on NZ road and gravel and it handles fantastically well. Great value leaves cash for accessories and trips! Still essentially a road bike, where it excels. Suits NZs roads to a tee where you can be on pristine tarmac one minute and loose gravel the next. Done several hundred k's on gravel roads which it has handled far better than the rider. Traction control can be turned off. ABS can't. Brakes are more than adequate for this type of bike. Looking forward to getting it on a track day. (Yep, why not?) Comfortable seat and ergos. Fits this 6'2" rider well. Still got the character of the original, but more refined and somewhat smoother. Its still a 1000cc V twin though. Great torque and plenty of horses for real world riding. Throttle (cable operated) is a bit on-off in low-speed traffic but you learn to adapt. So far, so good. Build quality is excellent. Exhaust valve a bit of an eyesore but you soon stop looking at it. Styling is more purposeful and contemporary and does not look out of place alongside GS's and KTMs. Only had the 1000km service so far which is basically an oil change and check over. Nothing expensive or complicated to service on this engine so would not expect any extraordinary costs. 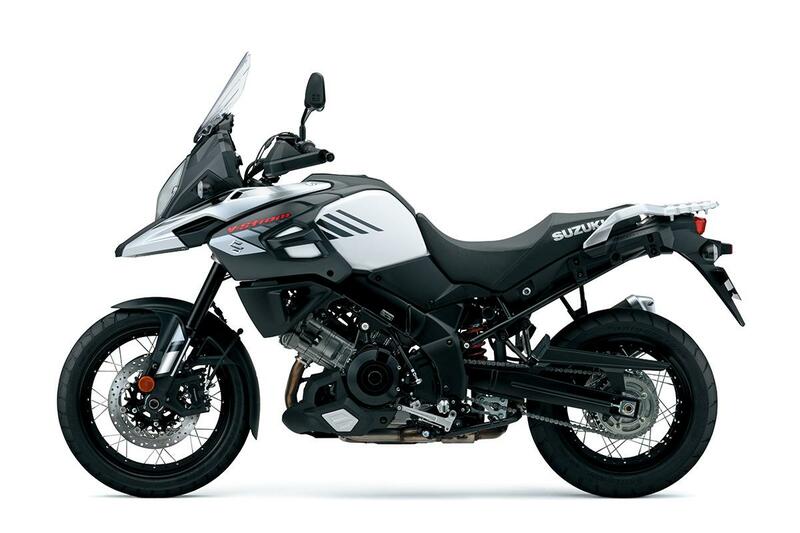 Compared to a 12 year old bike there's plenty of features - Switchable traction control, lean angle ABS, fully adjustable suspension, LCD dash, adjustable windscreen, 12V outlet on dash, plus wire wheels and tapered handlebars on the XT. I do find the windscreen noisy at highway speeds and may investigate alternative option. OEM tyres fine now they're scrubbed in. Will probably change to my preferred Pirelli Scorpion Trails when due for replacement. I've added a Givi monokey rack, rear hugger and rad guard. Also got the dealer to throw in a centre stand for the asking price. Coleman's Suzuki Auckland. A fine establishment!